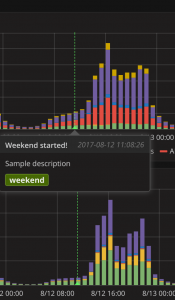 It’s very easy to add this super powerful annotations to Grafana charts. I followed the below instructions and created my first annotation in a few minutes on an existing Grafana + InfluxDB setup. 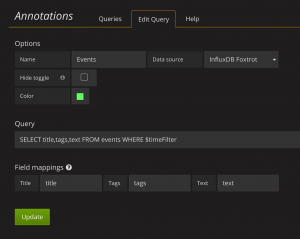 Hello, I would like to ask you a question, the Title, Tags, Text field is influxdb filed or tag?